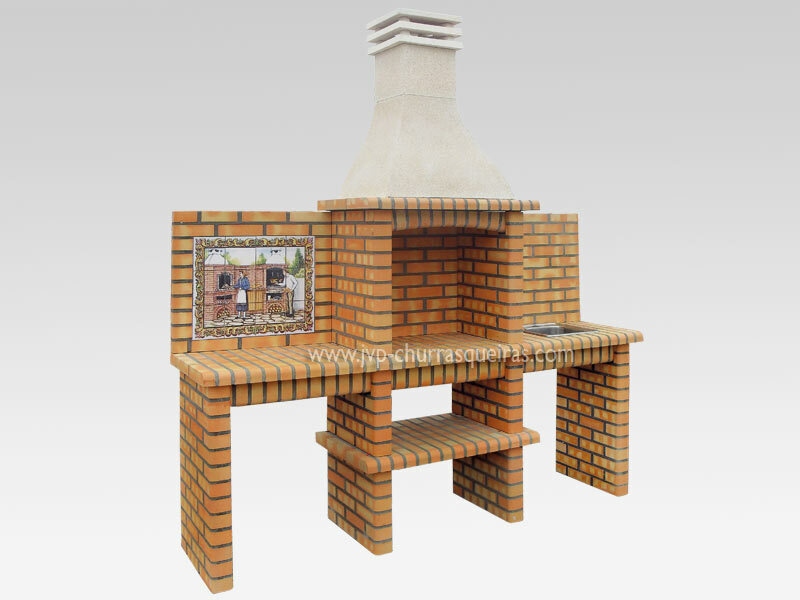 BBQ Grill 218-AT – It is a grill that has a bench on each side, and one with a dishwasher, which can be placed on both right and left, as the end customer desired. It also stand in front of each one panel of a side wall. And on the other side with a decorative tiled panel, which can either be placed on the right or left depending on what client p like to see more, and better fit the decor.